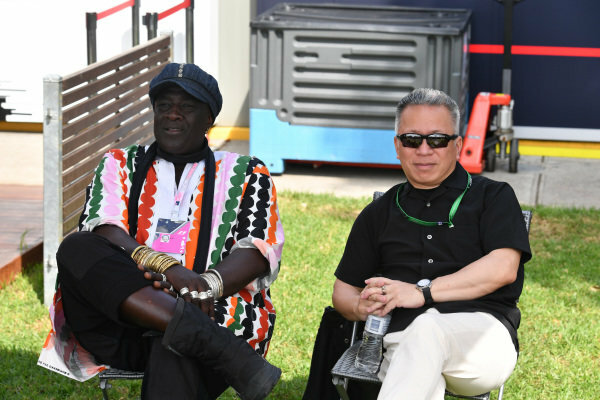 (L to R): Mr Moko (SEN) Chrome Hearts Jewellary and Massa Okikura (JPN) Convex International at Formula One World Championship, Rd1, Australian Grand Prix, Race, Albert Park, Melbourne, Australia, Sunday 26 March 2017. 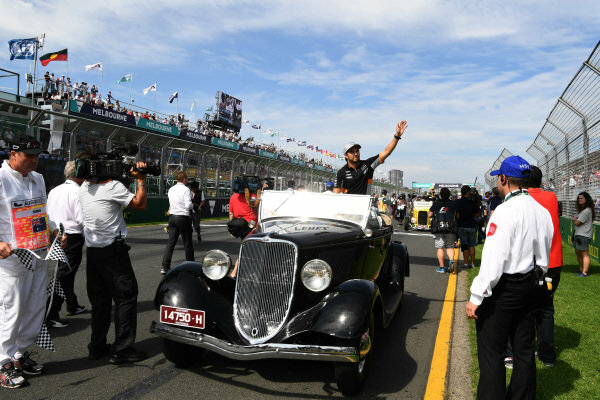 Brooke Hogan (AUS) Model at Formula One World Championship, Rd1, Australian Grand Prix, Race, Albert Park, Melbourne, Australia, Sunday 26 March 2017. 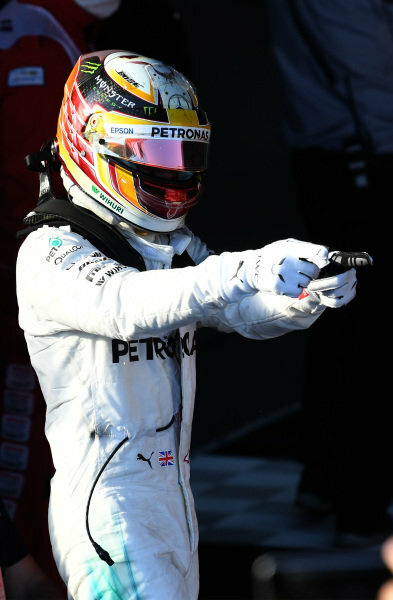 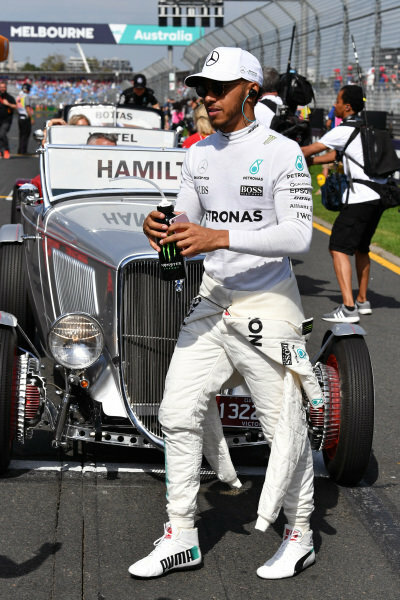 Lewis Hamilton (GBR) Mercedes AMG F1 at Formula One World Championship, Rd1, Australian Grand Prix, Race, Albert Park, Melbourne, Australia, Sunday 26 March 2017. 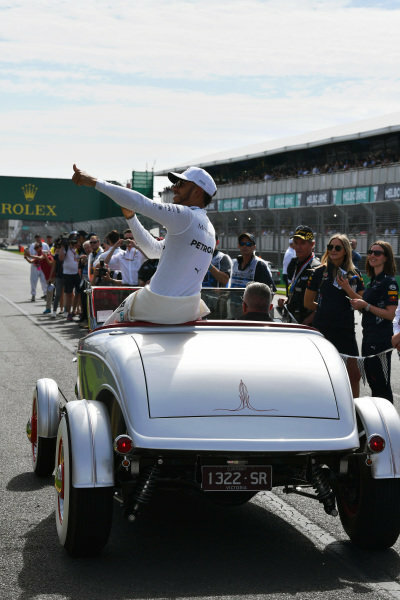 Lewis Hamilton (GBR) Mercedes AMG F1 on the drivers parade at Formula One World Championship, Rd1, Australian Grand Prix, Race, Albert Park, Melbourne, Australia, Sunday 26 March 2017. 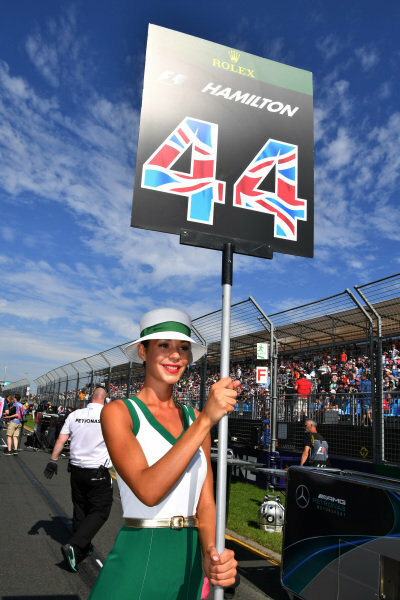 Grid girls at Formula One World Championship, Rd1, Australian Grand Prix, Race, Albert Park, Melbourne, Australia, Sunday 26 March 2017. 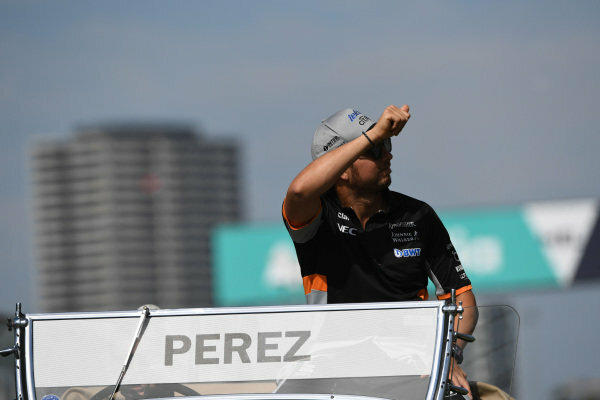 Sergio Perez (MEX) Force India on the drivers parade at Formula One World Championship, Rd1, Australian Grand Prix, Race, Albert Park, Melbourne, Australia, Sunday 26 March 2017. 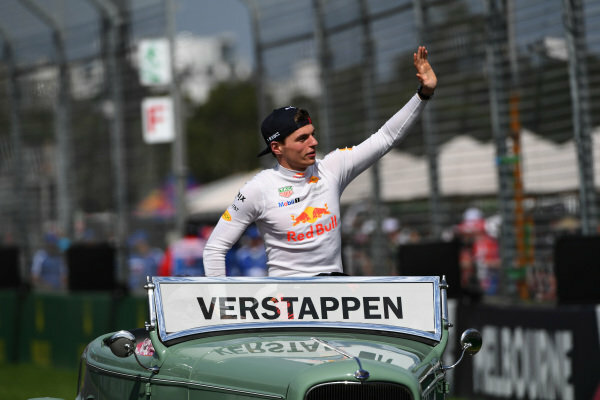 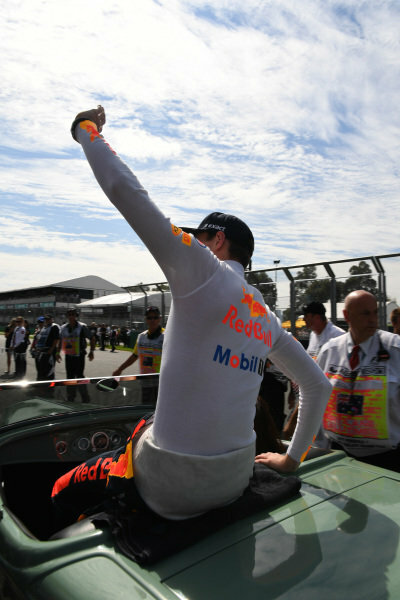 Max Verstappen (NED) Red Bull Racing on the drivers parade at Formula One World Championship, Rd1, Australian Grand Prix, Race, Albert Park, Melbourne, Australia, Sunday 26 March 2017. 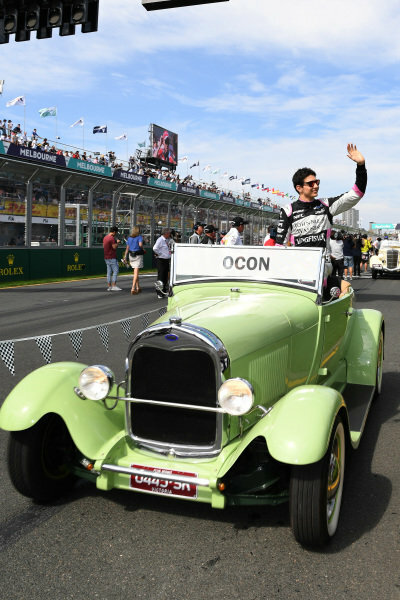 Esteban Ocon (FRA) Force India F1 on the drivers parade at Formula One World Championship, Rd1, Australian Grand Prix, Race, Albert Park, Melbourne, Australia, Sunday 26 March 2017. 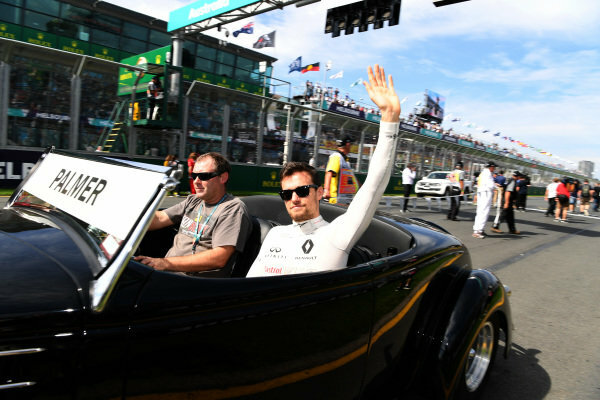 Jolyon Palmer (GBR) Renault Sport F1 Team on the drivers parade at Formula One World Championship, Rd1, Australian Grand Prix, Race, Albert Park, Melbourne, Australia, Sunday 26 March 2017. 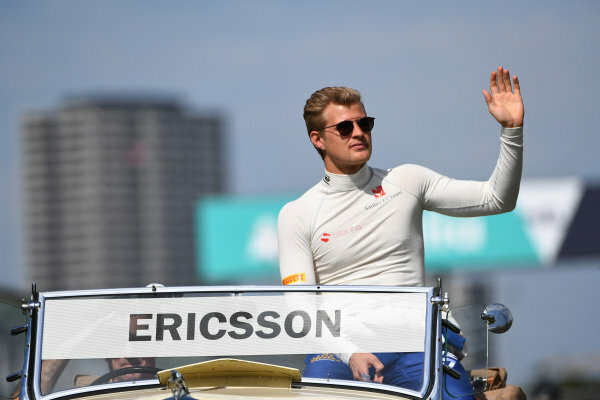 Marcus Ericsson (SWE) Sauber on the drivers parade at Formula One World Championship, Rd1, Australian Grand Prix, Race, Albert Park, Melbourne, Australia, Sunday 26 March 2017. 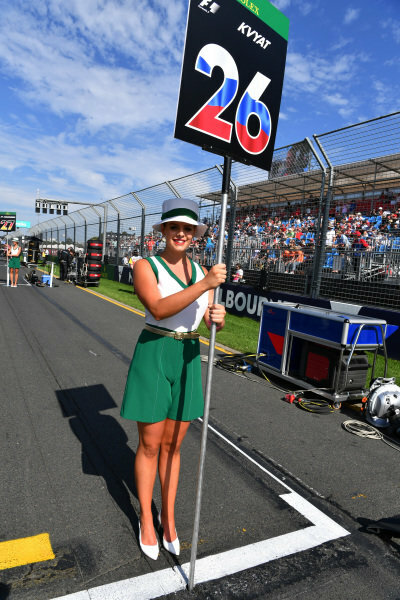 Grid girl at Formula One World Championship, Rd1, Australian Grand Prix, Race, Albert Park, Melbourne, Australia, Sunday 26 March 2017. 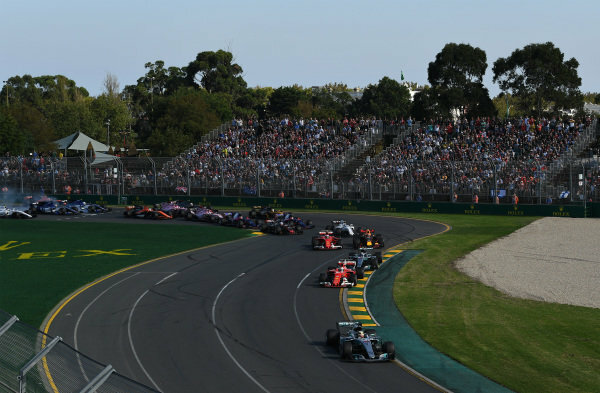 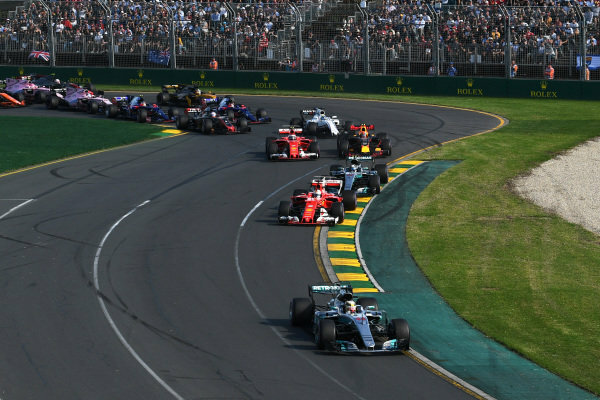 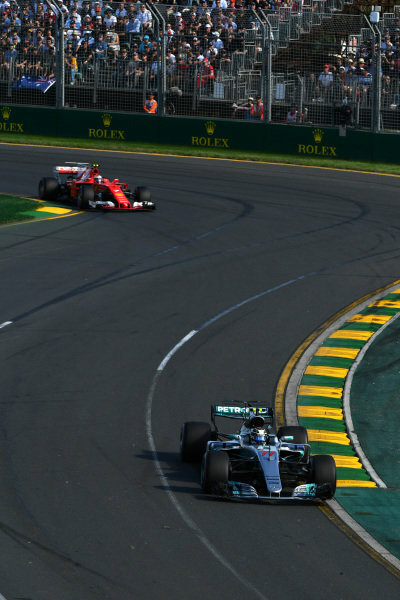 Valtteri Bottas (FIN) Mercedes-Benz F1 W08 Hybrid leads Kimi Raikkonen (FIN) Ferrari SF70-H at Formula One World Championship, Rd1, Australian Grand Prix, Race, Albert Park, Melbourne, Australia, Sunday 26 March 2017. 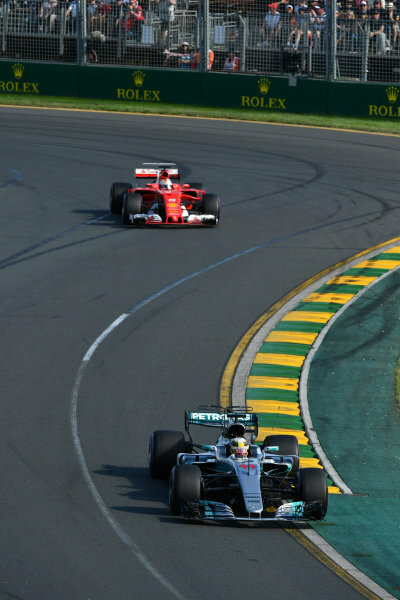 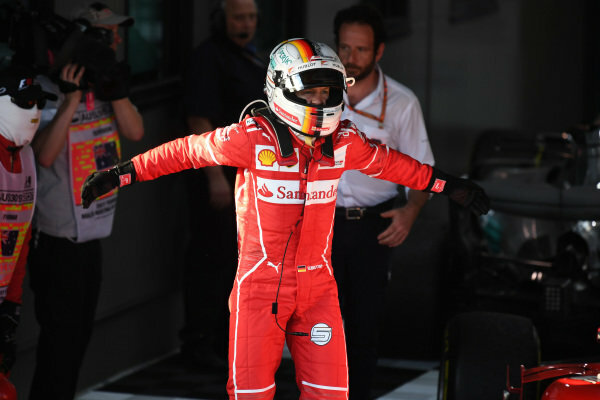 Lewis Hamilton (GBR) Mercedes-Benz F1 W08 Hybrid leads Sebastian Vettel (GER) Ferrari SF70-H at Formula One World Championship, Rd1, Australian Grand Prix, Race, Albert Park, Melbourne, Australia, Sunday 26 March 2017. 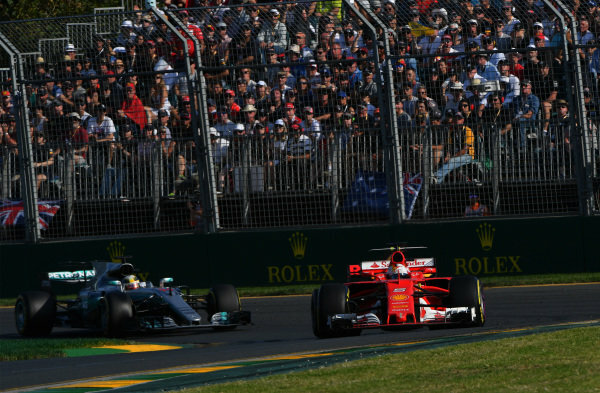 Sebastian Vettel (GER) Ferrari SF70-H leads Lewis Hamilton (GBR) Mercedes-Benz F1 W08 Hybrid Sebastian Vettel (GER) Ferrari SF70-H leads Lewis Hamilton (GBR) Mercedes-Benz F1 W08 Hybrid at Formula One World Championship, Rd1, Australian Grand Prix, Race, Albert Park, Melbourne, Australia, Sunday 26 March 2017. 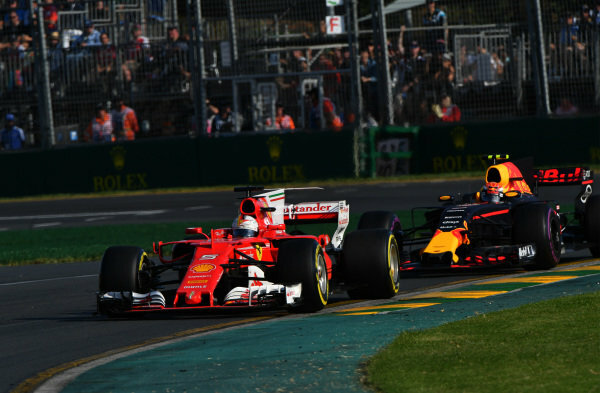 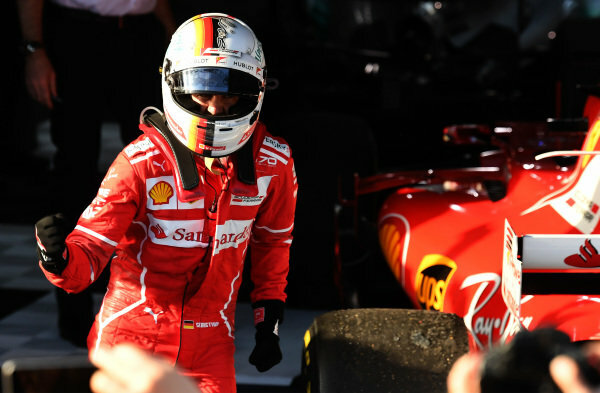 Sebastian Vettel (GER) Ferrari SF70-H leads Max Verstappen (NED) Red Bull Racing RB13 at Formula One World Championship, Rd1, Australian Grand Prix, Race, Albert Park, Melbourne, Australia, Sunday 26 March 2017.